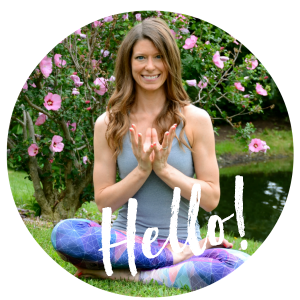 As a registered yoga teacher and a certified running coach, you might guess that I’m pretty passionate about getting runners to add running to their training. I’ve written a lot about yoga for runners, detailing how practicing yoga will make you a better runner. 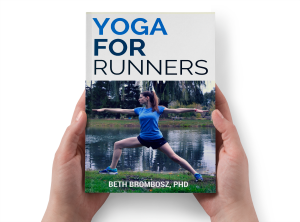 I’m putting my experience and knowledge teaching yoga to runners together into one portable resource: a Yoga for Runners book. The book will walk you through a background of yoga and how to build a home yoga practice if you don’t have access to yoga classes. You’ll learn how incorporating breathing and meditation techniques can help you through difficult runs. And, you’ll learn about the best poses to help improve flexibility and strength in the muscles that runners use most, which will help you keep good running form. Together, these skills will help make you a more resilient, injury-resistant runner. Order the Yoga for Runners eBook bundle! Love digital products? Great news, because you’ll be getting some extras when you order the digital bundle! In addition to getting a digital copy of the eBook, you’ll also receive an MP3 guiding you through a 20 minute post-run yoga routine, PLUS a 10 minute post-run yoga video! That’s a $20 value for just $10! My students who have tried these routines said they felt amazing when they were finished. Click below to order! After you pay for the book, you should be automatically redirected to a page with a link that will allow you to download the bundle. Please email me at beth@sublimelyfit.com if you have any problems downloading the bundle and I’ll send you the link. YES, I WANT THE BUNDLE! Prefer a hard copy of the book? You can get your hard copy of Yoga for Runners from Amazon.